👟 Good Monday morning. It's Tax Day. 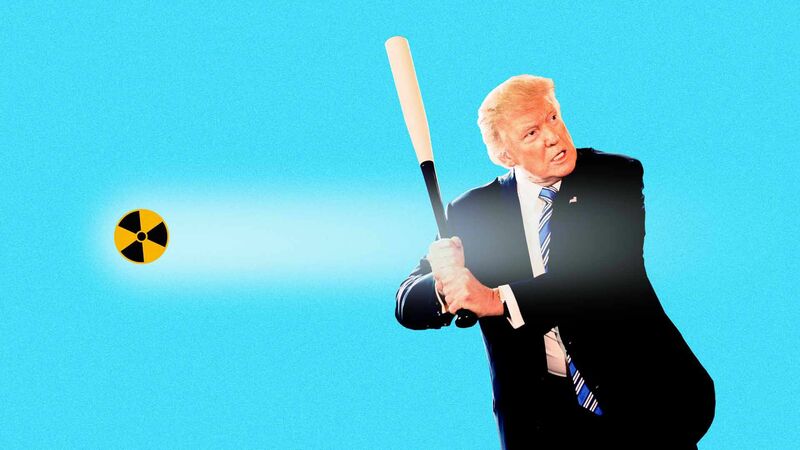 The Boston Marathon begins at 10:02 a.m.
Axios' Alexi McCammond writes from Bowling Green that Ohio voters who have flipped between parties in past presidential elections and supported Donald Trump in 2016 now say their first choice in 2020 is ... Barack Obama. Why it matters: None of the 18 Democrats actually running have broken through in rural Ohio as the antidote to President Trump. These swing voters' desire to rebuke Trump — by voting for his predecessor! — shows the long road for 2020 Democrats in the parts of the Midwest. That's the biggest takeaway from an Engagious/Focus Pointe Global focus group that Axios watched last week. 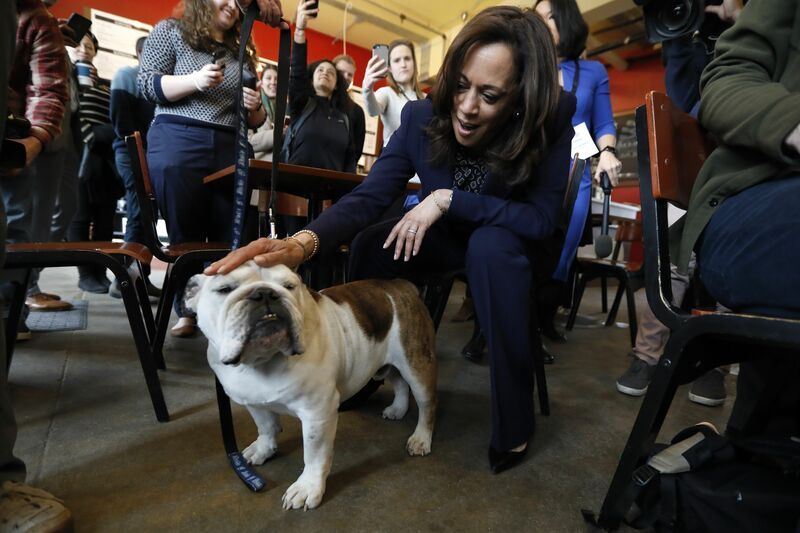 The group included 12 swing voters, half of whom voted for Mitt Romney in 2012 and then flipped to Hillary Clinton in 2016, and half of whom went for Obama in 2012 and Trump in 2016. Five of the six Obama/Trump voters would pick Obama if he could run again in 2020. 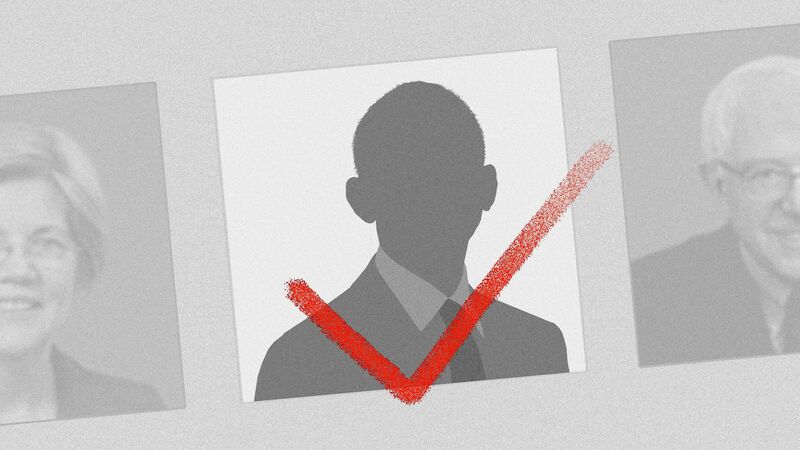 Among the reasons: Obama is "more of a diplomatic person," as one participant put it. Between the lines: All but two of the participants said their 2016 vote was a vote against the other candidate, not for the person they supported. When these swing voters were asked if there was anyone not running that they wished would run, Obama was the only name that came up. Christopher DiRando, a 24-year-old high school teacher, voted for Trump in 2016 but won't in 2020: "I just want to see a level-headed, competent person." What's new: "In a major ethical leap for the tech world, Chinese start-ups have built algorithms that the government uses to track members of a largely Muslim minority group," the N.Y Times' Paul Mozur writes. 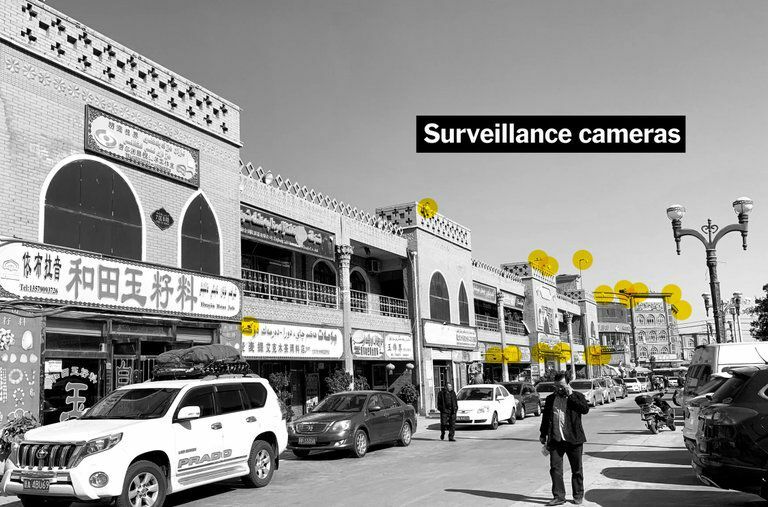 "The facial recognition technology, which is integrated into China’s rapidly expanding networks of surveillance cameras, looks exclusively for Uighurs based on their appearance and keeps records of their comings and goings." A twist: "The A.I. companies have taken money from major [U.S.] investors." Why it matters: "The practice makes China a pioneer in applying next-generation technology to watch its people, potentially ushering in a new era of automated racism." 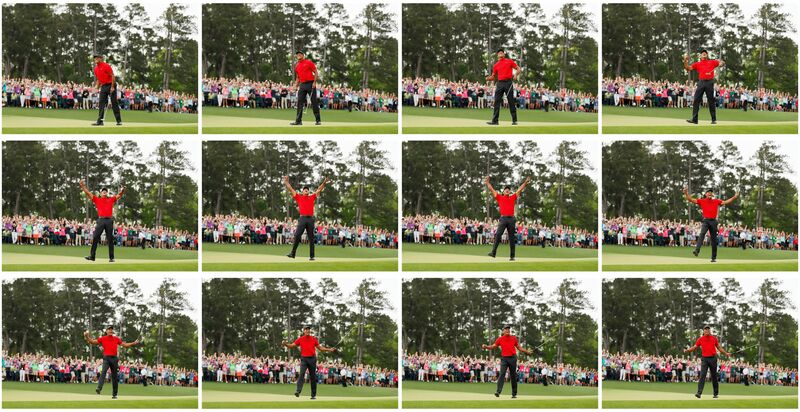 When Tiger Woods, 43, put on the green jacket yesterday at Butler Cabin at Augusta National in Georgia, he said with for-the-ages Smart Brevity: "It fits." 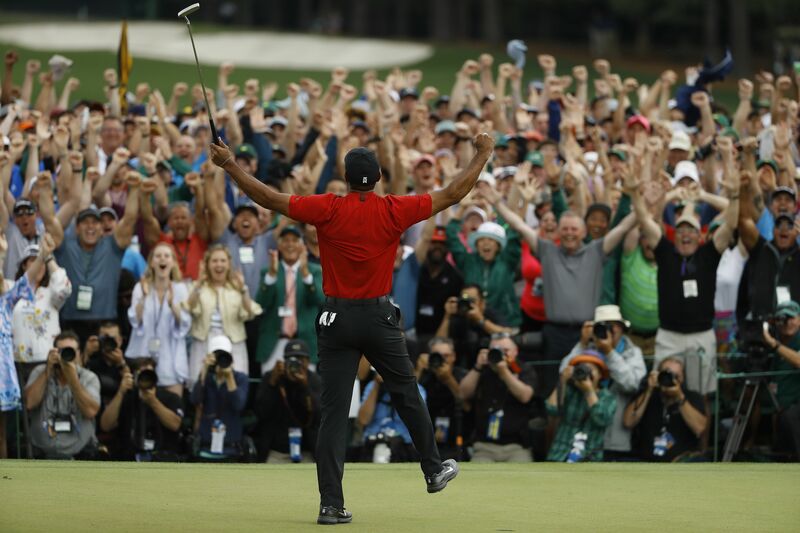 The Masters was Woods' 15th major tournament victory and his first since June 2008, with a decade of pain and humiliation in between. Why it matters, from the Wall Street Journal's Jason Gay: "We grew used to another Woods: still breathtakingly famous, but flawed and seemingly broken. 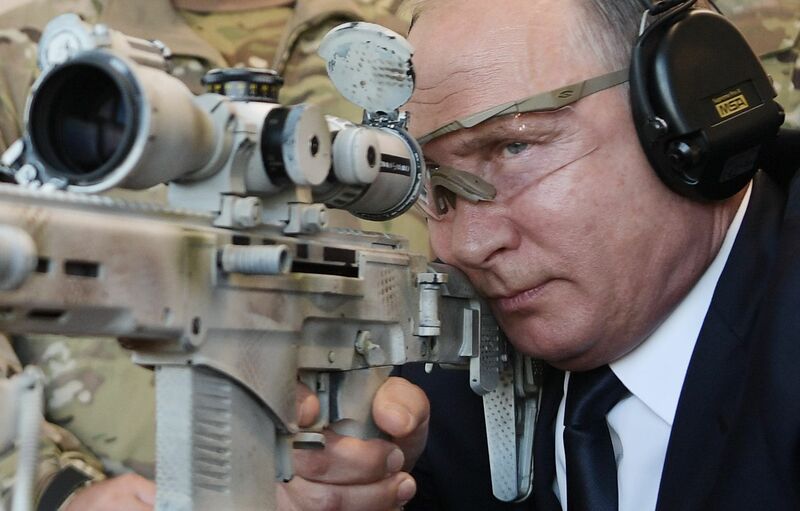 He became hard to watch. Woods was a reminder of how life could turn, how imperfection and age could make anyone mortal." "Up by the clubhouse, the kitchen help stood in white jackets and hats, much like a previous generation did all those years ago. In front of them, a group of young people working this week as trash pickers tried unsuccessfully to find a piece of higher ground to witness history." "Few in the huge throng had any hope of seeing anything. But they could hear, and on this day that was enough." Tweet du jour ... Tom Brady: "Running the numbers on how long it’ll take me to get to 15." Children in the U.K. would no longer be able to "like" posts on Facebook and Instagram under strict rules planned by a data watchdog, the Information Commissioner's Office, The Times of London reports (subscription). "A code of conduct ... is set to impose conditions on how technology companies treat under-18s, with the threat of fines totaling billions of pounds." "The 16 planned requirements include a ban on 'nudge' tactics that encourage children to spend more time on apps, allowing companies to collect more data." "The code gives the examples of 'likes' on social media posts and 'streaks,' a feature in Snapchat that rewards ... users who message each other every day." What's next: "The code is out for consultation until May 31." 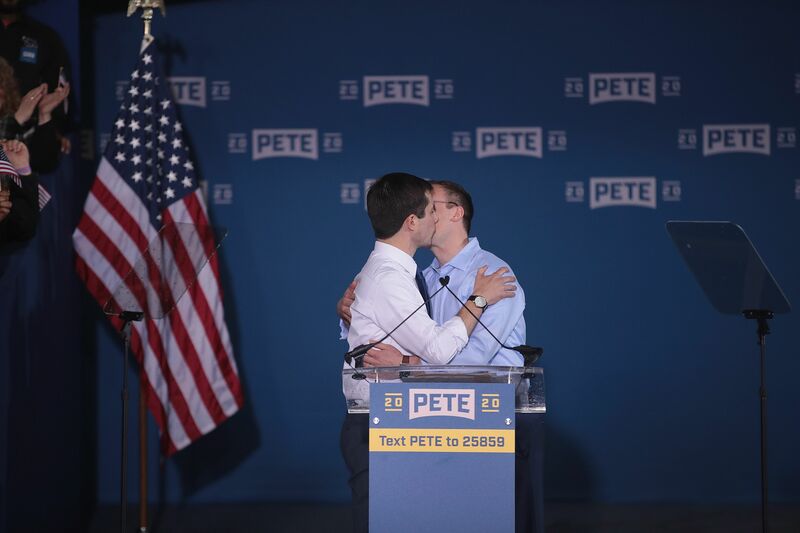 Some people wore hoods as water dripped down from the ceiling of Studebaker Building 84, a former South Bend auto plant where Mayor Pete Buttigeig officially launched his presidential campaign, the Indianapolis Star reports. More people are moving into South Bend than we’ve seen in a generation. Thousands of new jobs have been added in our area, and billions in investment. There’s a long way for us to go. Life here is far from perfect. But we’ve changed our trajectory, and shown a path forward for communities like ours. And that’s why I’m here today. To tell a different story than "Make America Great Again." Why it matters: "Those ideas may excite progressive activists, they said, but they risk alienating working-class voters." President Trump is coming up empty handed on his promises to bolster America's ailing coal and nuclear power industries, Axios' Amy Harder writes in her weekly energy column, "Harder Line." For a president who has aggressively pushed the legal and political boundaries to make good on policy priorities, particularly immigration, the lack of action in this area is striking two years into Trump’s administration. Trump’s positions on immigration appeal to his supporters' emotions more than his positions on coal. Nuclear has never been a top-tier political concern for Trump. "In a lengthy Sunday blog post, China’s richest man expanded on comments from last week, in which he dismissed people who expect a typical eight-hour office lifestyle." "The Alibaba Group Holding Ltd. co-founder once more endorsed the sector’s infamous 12-hours-a-day, six-days-a-week routine as de rigueur for passionate young workers." The schedule is known as "996": 9 a.m. to 9 p.m., six days a week. 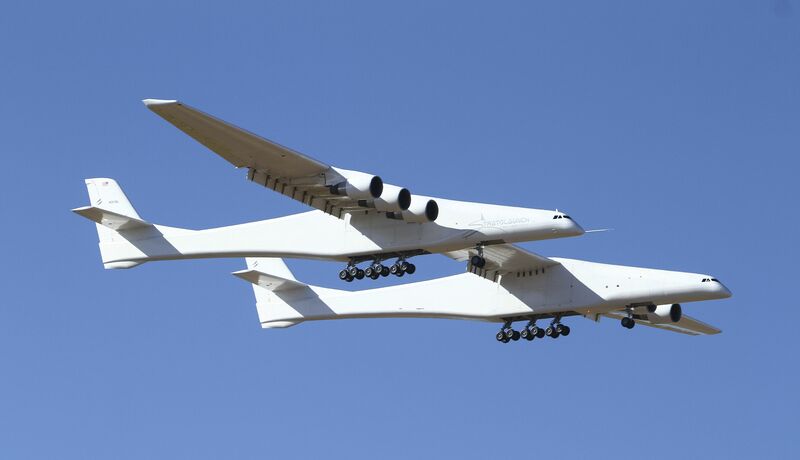 A giant six-engine aircraft with the world's longest wingspan completed an initial flight over California's Mojave Desert, bringing to life a dream held by the late Microsoft co-founder Paul G. Allen, AP reports. The Stratolaunch Systems plane is built to air-launch small satellites. Thank you for starting the week with AM. Get your friends to sign up here!